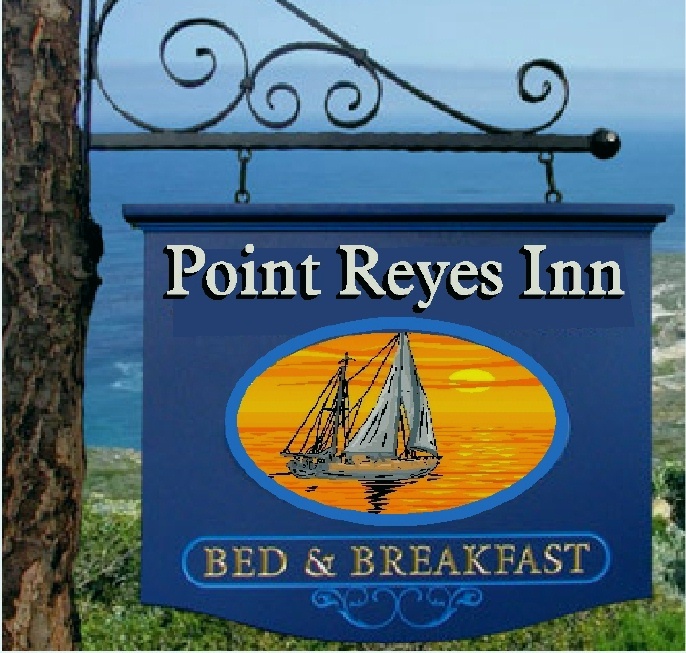 This "Point Reyes Inn" sign is hung from a decorative scroll bracket attached to a tree. The top text is raised, as is the art in the middle and the bottom plate surrounding "Bed & Breakfast ", which is engraved. The artwork is flat artist-painted with oil enamels and then clear-coated. This and similar signs can be ordered with several types of matching wrought iron scroll brackets and posts..